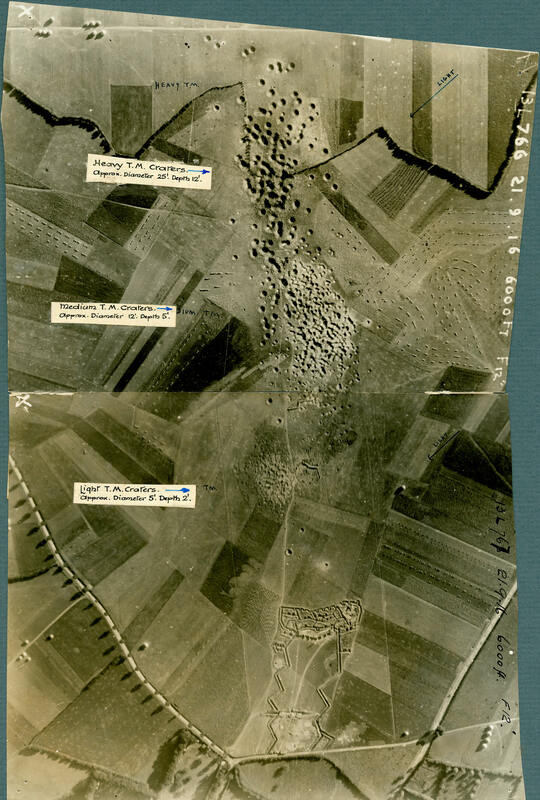 This British aerial photograph, taken on 21 September 1916, of trench mortar craters shows the effects of light, medium, and heavy trench mortars. The heavy mortars made craters about 7.6 metres wide and 3.6 metres deep. The medium mortars made craters about 3.6 metres wide and 1.6 metres deep. The light mortars made the smallest craters, about 1.6 metres wide and 0.6 metres deep.